AFRICANGLOBE – The desire expressed the other day at a Conference of Ministers in Addis Ababa by some African leaders for increased ownership of the African project and integration was quite assuring and may have presented the continent with another opportunity to break away from a seemingly incurable lethargy. That desire, however, also reinforces a long-held belief that the leaders have always been long on ideas but ever short on implementation of agreed frameworks for pushing the much-desired continental integration. Africa remains in poverty because successive leaders have made the continent a theatre of lamentations with poor governance. Besides, the pressing need for the countries to collaborate with vigour to promote a sense of unity has been lacking. No doubt, Africa must launch itself on the road to integration as the only way forward. With enormous resources at its disposal and more than five decades into continental integration efforts after the formation of the Organisation of African Unity (OAU), which transformed to the African Union (AU), the region should have done better. The latest attempt at breaking into that future through the new Agenda 2063 is laudable, but this calls for more action and less rhetoric. Summits are not enough. Africa must rise and solve her own problems. Rwandan President Paul Kagame was absolutely right in his submission that the continent is in dire need of urgent collaboration towards regional integration. This should set African leaders thinking and help in determining where the continent goes next. “Building new momentum requires that we stop thinking about development as something we do with external resources. We must focus on making better use of what we already have domestically in terms of our national and regional markets,” he had stressed. Ethiopian Prime Minister, Hailemariam Dessalegn’s suggestion of “effective and strategic” use of local resources to catalyze additional financing from official and private sectors appropriately builds upon Kagame’s postulation. Essentially, he also reinforced the argument for increased reliance on domestic resource which mobilization should get first priority. Certainly, these are lofty ideas but the question is: Would African leaders muster the will to drive the change? Undoubtedly, it is possible for Africa to be the continent of the future, but leaders must work their thoughts. 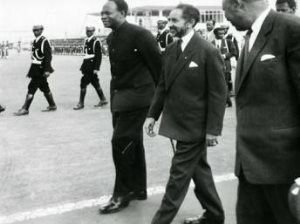 Some earlier laudable efforts in the direction of integration are worth recalling, among them the New Partnership for African Development (NEPAD) which itself was a product of three parallel initiatives from Millennium African Recovery Plan (MAP) led by former President Thabo Mbeki, Abdoulaye Wade’s Omega Plan which then gave birth to the New African Initiative. NEPAD, an overarching development framework recognized by the United Nations and its agencies as well as global bodies like the G-8 and widely seen as the mechanism through which support for development efforts can be delivered, is certainly one sure evidence of Africans’ ability to chart a home-grown integrated course of growth and development. Africans can also take pride in strides made in trade, communications, macroeconomic policies and transport, especially within some regional economic communities, including ECOWAS, ever free movement of people, the West African Economic and Monetary Union; the Common Market for Eastern and Southern Africa, COMESA, over trade liberalization and facilitation; and in infrastructure, the Southern African Development Community. Africa has no doubt suffered failures occasioned by poor leadership, lack of political will to drive ideas, resource mismanagement and, on top of these, corruption. These have in no small measure affected integration-focused projects and driven the continent backwards. Could sabotage have played a role in one or two cases? Perhaps. The derailment of the attempts at a West African Monetary Union is a case in point. The trans-Sahara network for instance, is almost history. Some of the projects initiated at the sub-regional levels in the trade communities are also taking ages to materialize. Corruption has been elevated to the highest pedestal by the leadership of most countries. In fact, the Thabo Mbeki Report, published a couple of months ago, specifically placed Nigeria alongside five others among those seriously afflicted by the corruption menace. Cooperation in every sphere, especially trade, infrastructure, transport is in Africa’s interest. Thankfully, a major priority in Agenda 2063 is the provision of better transportation network, especially the creation of a high-speed rail linkage across the continent. To make progress, Africa must truly unite.